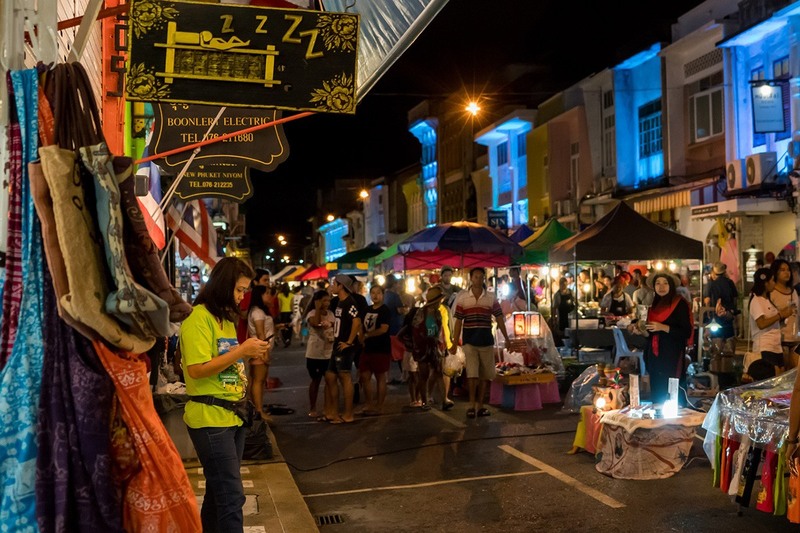 With a touch of charming Baba culture and Sino-Portuguese architecture, Phuket Town is a must-visit. Day and night, the town is always alive. This is where you’ll find the earliest breakfasts and the very late dinners, the quietest laid-back spots and the craziest bars with loud sound and lasers. Located in the heart of the island, Phuket Old Town covers many different beautiful roads such as Phang Nga Road, Dibuk Road, Thalang Road, Ranong Road, Phuket Road, Bangkok Road, Takuapa Road and Yaowarat Road which are all filled with classic and chic coffee shops, cool bars, local bistros all the way to luxury hi-end restaurants as well as guest houses, hostels and hotels. Amateur and professional photographers will rejoice at Sapanhin Park, located at the tip of the east coast, where you’ll get the first glimpse of the sunrise. The unpredictable shots of sun rays meeting the sky and reflecting on the mirror-like sea surface can be one of your future masterpieces! Start the day with an earthy breakfast in one of the numerous Dim Sum shops scattered across town; Xiao Boi, as called locally, is a very famous dish for the early mornings, alongside Buk Kud Teh, Mee Sua and other local delicacies. When your tummy is full, have a short walk through Thalang Road, perfect for a few pictures thanks to its exquisite vintage constructions. You will find plenty of coffee shops along the way, should you fancy a drink or two. 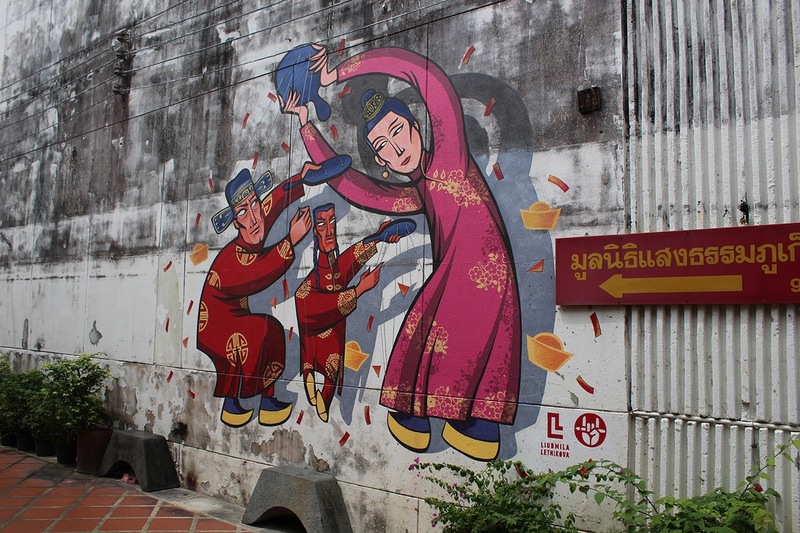 The newly opened Kasikorn Bank is worth a visit for its unique architecture, and easy access to Dibuk Road, which leads you to a stunning wall painting of the most loved and respected King Bhumibol (Rama 9) that local artists created together. 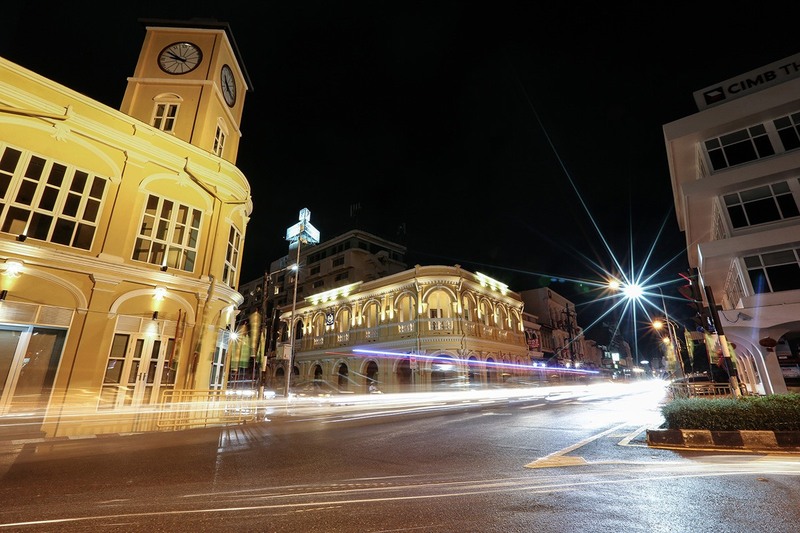 Phuket Town is also a great place for those who seek to discover the history of the island thanks to several museums such as the Baba Museum, the Phuket Thaihua Museum and the Phuket Philatelic Museum. Lunch and dinner in Phuket Town are incredible; the city offers a vast variety of food and cuisines from all around the world. Grab a drink later at one of the most sought-after spots on the island; plenty of bars, ranging from street-side cheap beers to high-level mixology will keep you entertained. 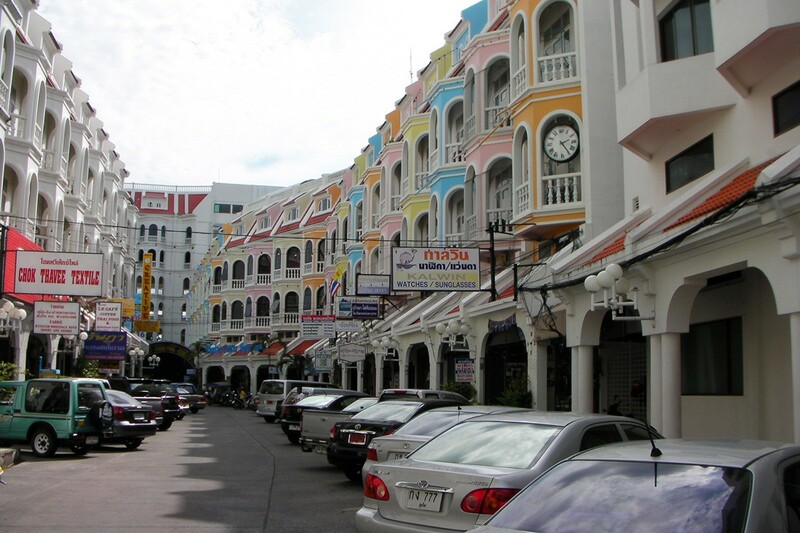 Prices are really reasonable in Phuket Town, compared to some of the beach towns on the west coast.